The episode titles are clues. I’ve got a “jump,” but depending on the how you get there, you may go straight to the article. You’ve been warned! 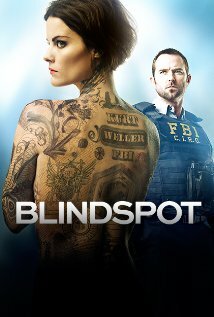 If you are watching Blindspot, you may not know it, but there are clues in the episode titles. You might find them “spoilery,” though I believe that if the writers are putting them there by intent, they are part of the show. So far, I’ve been very hooked on this show, though I didn’t think I would like it. They are moving the story along quickly, which I like, but was worried if they could sustain it. I understand the show will follow the “short season” model, so that hopefully means we will get story and not filler.